IPSWICH residents will sweat through extreme heat this Valentines Day. Temperatures are tipped to heat 40 degrees on the sixth day of the heatwave. It has been named the most significant heatwave to impact the southeast this summer but it's not new for Ipswich residents who have suffered through many a hot day. The record for the hottest February Ipswich day since 1941 was set last year when temperatures reached 43C on February 12. But records show in 1940, Ipswich suffered through an even hotter day during the 'greatest heatwave in the state's history'. The 1940 January heatwave lasted nine days, claimed the lives of more than 80 people, saw about 40 collapse from exhaustion in one day and three horses keel over in the street. In Ipswich a 66-year-old woman and a 10-month-old baby died in the Ipswich General Hospital, a newspaper article in the Queensland Times dated January 30, 1940 reads. 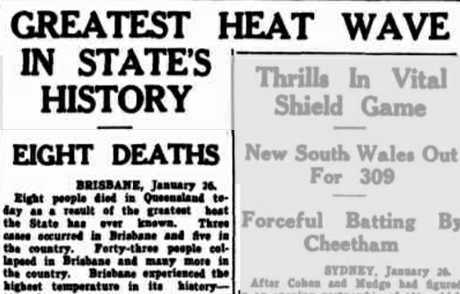 Another article printed in the Rockhampton Morning Bulletin on January 27, 1940 states the temperature in Ipswich hit 111.5 degrees Fahrenheit, or 44.16 degrees Celsius. That record has since been toppled by similar conditions in January 1994 when the mercury soared to 44.3 degrees. In January 1940 temperatures like that had never been seen in the 85 years since record keeping began. An article from the Morning Bulletin dated Saturday, January 27, 1940. Eight people died in one day. 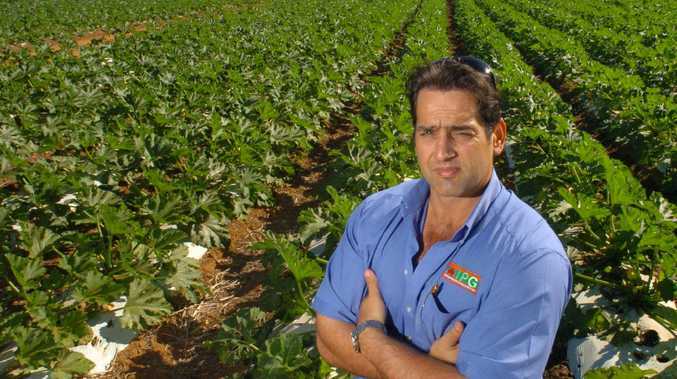 "The losses of stock in country due to the heat were heavy and poultry farmers in some instances suffered badly," the Rockhampton Morning Bulletin article states. "Thousands of their birds collapsed and hundreds died. At Casino 1600 cattle mustered for sale became maddened by the heat when the thermometer reached 119 degrees (48.3 degrees Celsius). "They stampeded through fences in a mad rush to the Clarence River and 46 were killed. The Queensland Egg Board reported more than 50,000 chickens died during the heatwave. According to the State Library of Queensland, 'the consumption of soft drinks, ices and beer were up 100 per cent' during the heatwave and 1940s 'smart dress standards went out the door'. 'Men were seen in half-sleeve shirts and open necks (no ties) and women wore shorts'. Do you remember the 1940s heatwave in Ipswich?